Share Market on Wednesday: After swinging between gains and losses, the domestic equity benchmarks hit fresh highs in afternoon trade. 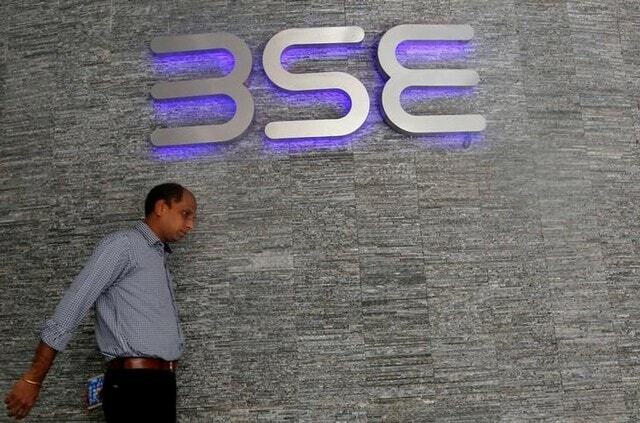 Stock Market on Wednesday: The Sensex hit a high of 37,877.18 and the Nifty50 of 11,447.35. After swinging between gains and losses, the domestic equity benchmarks hit fresh highs in afternoon trade on Wednesday. The Sensex hit a high of 37,885.77 and the Nifty50 of 11,449.35. At 12:18 pm, the Sensex traded 208.92 or 0.55 points higher at 37,874.72 and the broader Nifty was at 11,446.10, up 56.65 points or 0.50 per cent. Thirty five out of 50 Nifty stocks traded with gains. Tata Motors, ONGC, Reliance Industries, Bajaj Finance, and Tata Steel were the top Nifty gainers. The Nifty Bank Index breached the 28,000 level for the first time, rising as much as 0.9 per cent to a record 28,119.10. Reliance Industries, HDFC Bank and HDFC led the most of Sensex gains. "Markets are ignoring the developments shaping the US-China conflict, because in the results seasons in the large-cap category, there are more hits than misses and they are actually supporting the markets," news agency Reuters quoted Saurabh Jain, assistant vice president of research, SMC Global Securities, as saying. However, some experts, said that after a record-running spree, markets are likely to cool off. "After the market was unfailingly hitting record highs, a cool down is merited. Traders are advised to go for a directional view on the indices. One should look for stock specific action," said Ritesh Ashar, Chief Strategy Officer, KIFS Trade Capital. In terms of stock-specific action, Mphasis shares traded 3.24 per cent lower after the IT services company's board approved Rs 988.3 crore buyback of up to 73.3 lakh shares (3.79 per cent equity) at Rs 1,350 each. Shares of Patel Engineering traded at Rs 49.90, up 14.06 per cent after the company bagged two hydro projects and tunnel projects orders worth Rs 2,400 crore. Meanwhile, Asian shares rose on the back of firmer Wall Street earnings while expectations for increased Chinese stimulus helped take the edge off wider concerns about the worsening Sino-US trade dispute, according to a report by news agency Reuters. MSCI's broadest index of Asia-Pacific shares outside Japan gained 0.22 per cent while Japan's Nikkei ticked up 0.05 per cent. On Wall Street, the S&P 500 rose 0.28 per cent to 2,858, which is just 14 points, or about 0.5 per cent, below its record high marked in January.